If you’re looking to buy a home in Nashville right now, odds are we have a listing that suits your must-have list — from a historic cottage in East Nashville to brand-new, luxurious but affordable northwest Nashville townhomes and a downtown Nashville condo in a historic building, our listings are particularly broad as we move into 2017, and we’re proud. 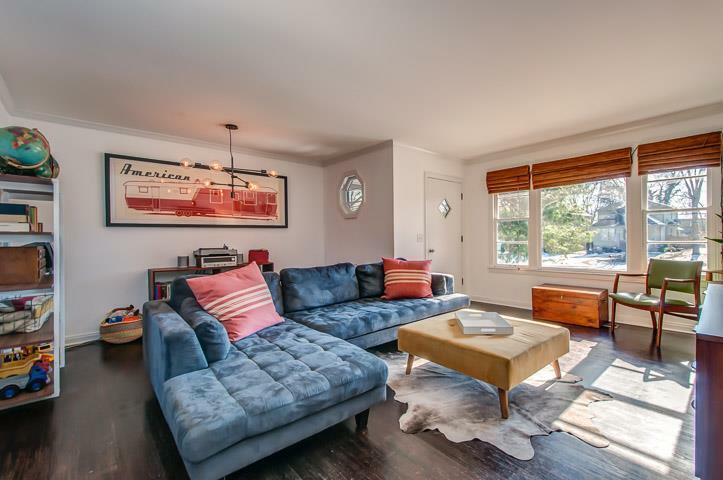 We’ve pointed a spotlight on quite a few of them via our blog, and two of our newest listings deserve some special attention, since they’re both great representations of a style lots of Nashville homebuyers ask us to find: cute, midcentury ranch homes. Design trends come and go, but over the past handful of years, mid-century modern style has been back in a big way. In 2013, Houzz gushed about “Why We Love Midcentury Modern Design.” In early 2015, Curbed explained “Why The World Is Obsessed With Midcentury Modern Design.” Then last year, The New York Times wondered, “Why Won’t Midcentury Design Die?” and the Washington Post told us “Why mid-century modern is forever.” And here we are in 2017, with no sign that people are falling out of love with graceful mid-century minimalism. You can still find charming mid-century properties in Nashville — both time-capsule homes and fully renovated ones. 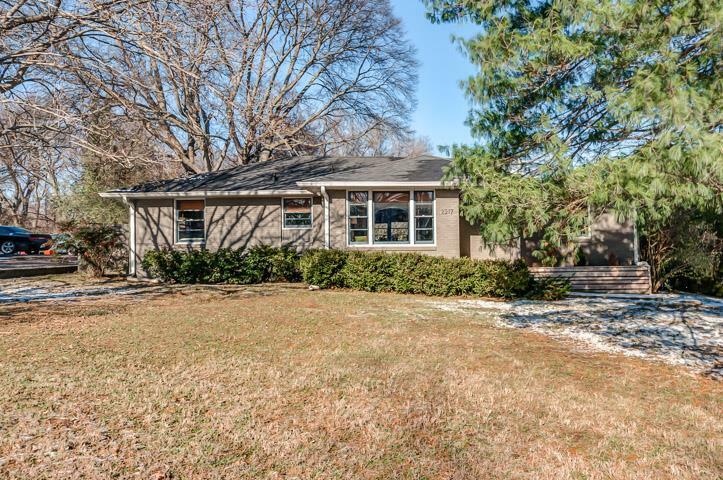 But as the Nashville building boom has moved investor trends more toward teardowns/multiple builds than renovations, a move-in-ready mid-century home is becoming more of a find. And we think both of these properties are fine, fine finds. Check them out, and please let us know what you think! Although it’s totally renovated, this 3-bed, 1-bath 1958 ranch in East Nashville has classic mid-century style front and center, from the light fixtures to the painted paneling and retro tiled bath. (The photo at the top is from this home as well.) It has a few upgrades that aren’t so mid-century-centric, including a huge master with lots of storage, and an open, modern kitchen. Another thing worth noting that’s far from an everyday find in East Nashville these days: a half-acre lot that’s great for entertaining and offers plenty of parking. Click either of the images (or here) to see more photos/get more details, and let us know if you’d like to take a look! 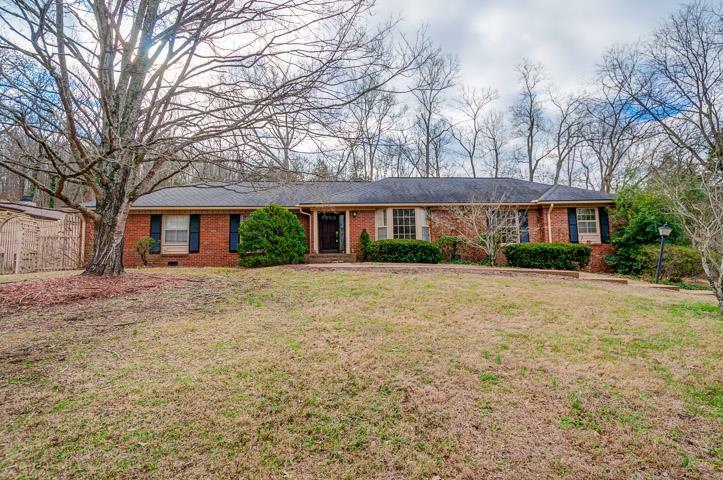 If you’re looking for a brick ranch that still a good share of its original attributes, this 4-bed, 3-bath home in West Meade, built in 1962, might be right up your alley. 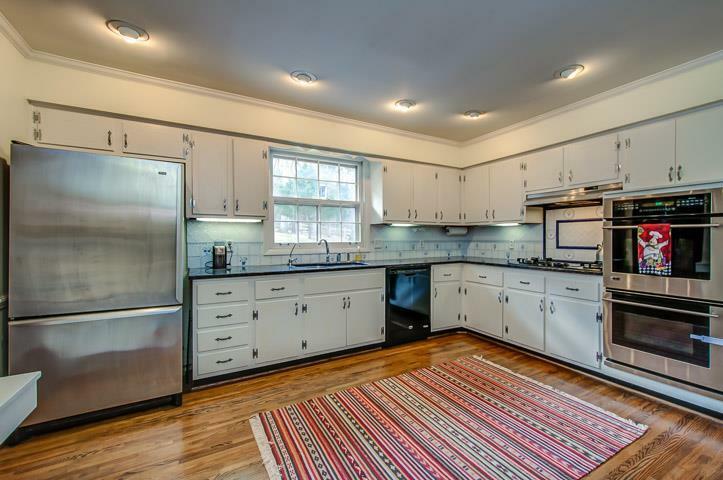 The huge kitchen is full of throwback charm, and the brick fireplace/wood paneling in the den is too. Three particularly great extras: a big bonus room (with kitchenette) that could easily be a mother-in-law suite, spacious screened porch and a full acre of tree-lined property. Is a mid-century ranch on your Nashville househunting must-have list? Something different in mind? Let us know if we can help you track down the Nashville-area home you’re looking for.